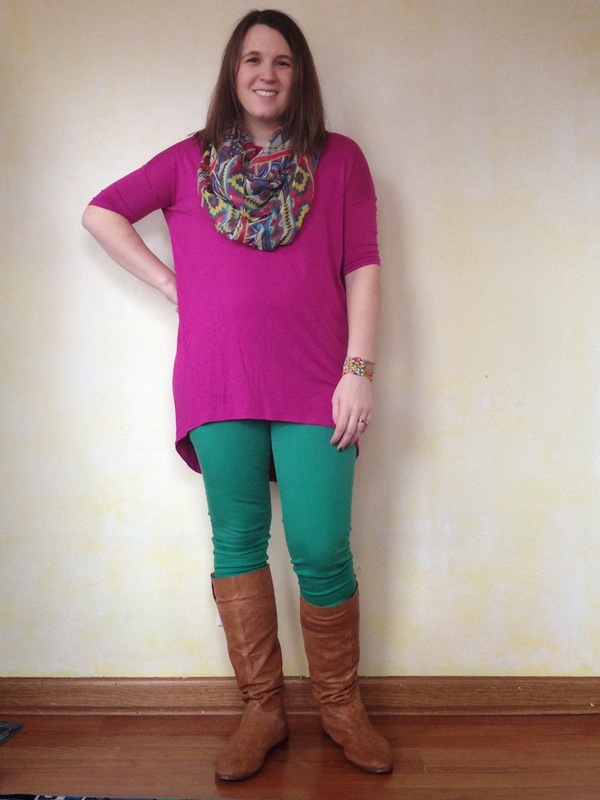 I was looking back at my What I Wear Pinterest board the other day, somewhat to remember what I looked like before I had this baby belly, but also just to remember some of the clothes I'll be able to get back into eventually, and my green pants kept coming up over and over and over. 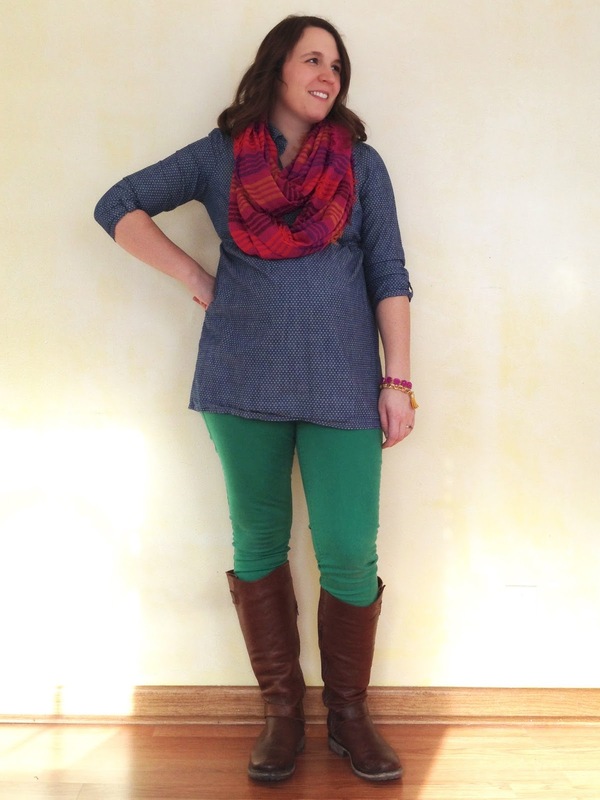 I own a pair of maternity and non maternity pants in green, so I've styled them in both seasons of my life. Today I wanted to share a few ways I've styled them. Most of these ways can be applied to any colored pair of pants, but if you're thinking of taking the leap to colored pants, may I suggest green? Both of my green pants (maternity and non maternity) are skinny jeans from Old Navy. The non-maternity pair were found at my local Goodwill for $3 and some change. The maternity pair were less than $10 on the sale rack. I've worn these pants at least ways, but today I'm just going to share three of my favorites. Chambray and any colored skinny are just meant for each other in my book. I added a pop of color with my scarf, and that was that. Easy peasy! Adding a black (or even navy) top is a no-brainer, too. I didn't have to worry about matching colors and the pants are the highlight of the outfit. Here's another way I styled them with a black and white top, too. This might be a little out of comfort for some people, because I admit the result is pretty bright, but adding a bright solid top can be fun. My scarf in this outfit has pink and green in it, so it ties everything together. 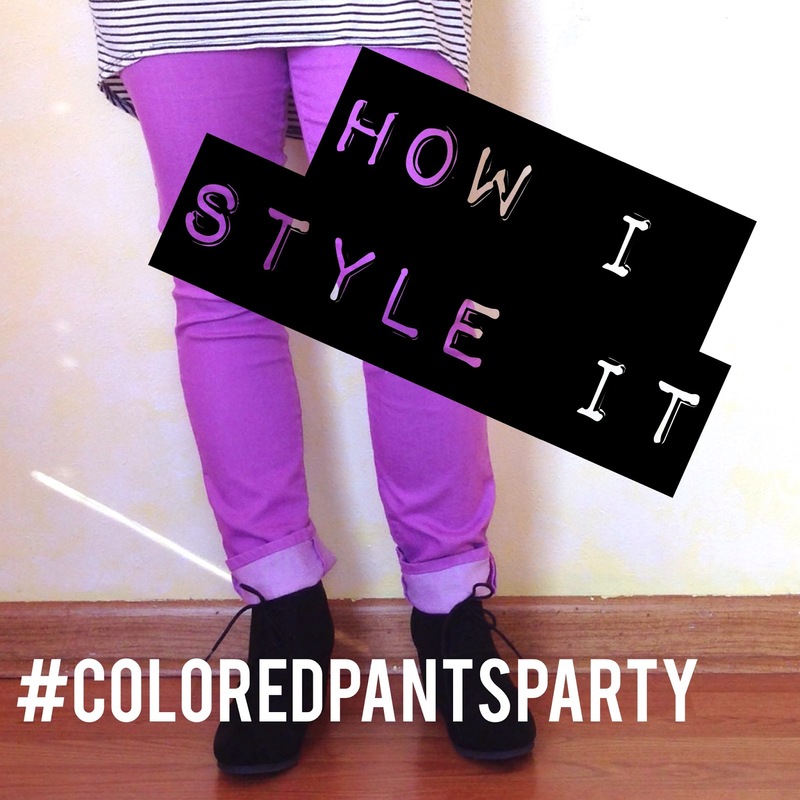 Now for the #coloredpantsparty! 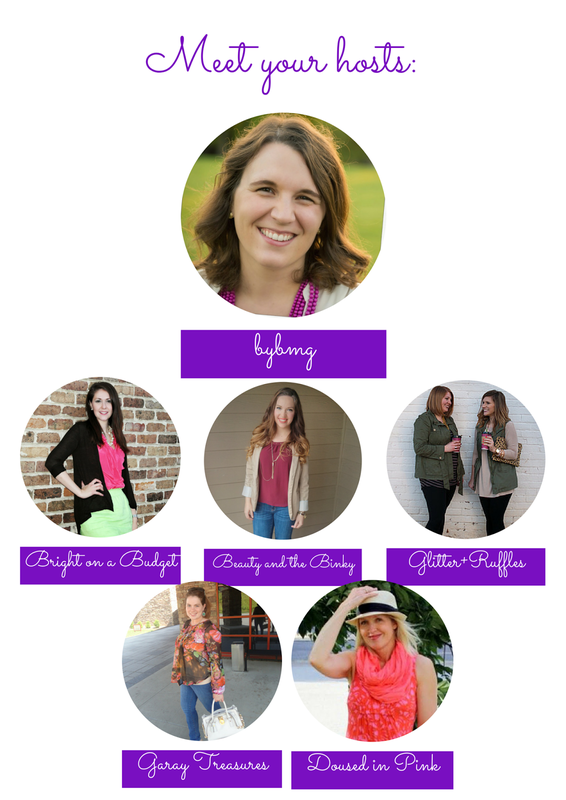 Link up a recent fashion post of yours, especially one that goes along with our theme! Please limit yourself to three links and remember to link directly to the post, not your blog. Be sure to hop around some of the other posts that have been linked up and spread the love in the blog world! This link party will end Thursday, April 23, at 5 a.m. CST. Feel free to add our "How I Style It" button to put on your post or on the sidebar of your blog if you want to help spread the love!! Next month we'll link up on May 13th with maxis (skirt or dress, you pick)!